Posted in HINTS & TIPS. Tagged contact sets for Firestorm., Firestorm, firestorm viewer, Second Life, SL, ZoHa Islands. Posted in HINTS & TIPS. Tagged Auto replace, Firestorm, firestorm viewer, Jessica Lyon, Second Life, Tool Tip Tuesday, ZoHa Islands. 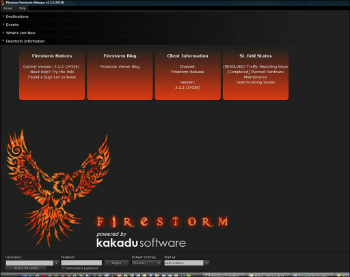 A quick update for Firestorm Users. Firestorm’s staff have posted in their Wiki their recommendation on how to fix the various issues caused by driver updates for those graphics cards. If you have an AMD/ATI graphics card then you may need to do these steps (ATI drivers don’t seem to support OpenGL graphics very well, and SL viewers use OpenGL, as opposed to DirectX). Residents are reporting issues such as rigged mesh not showing up, the world is pink, everything goes black, repeated crashing, etc. 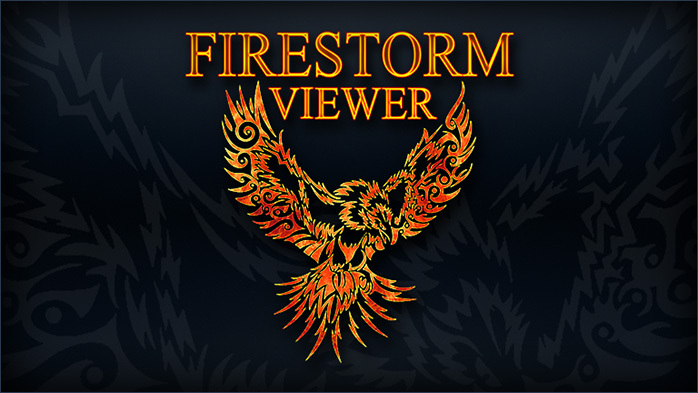 If you are a Firestorm viewer user and are experiencing these issues, please take a look at the following article (this is a clickable link to the Firestorm Wiki): AMD/ATI Worn Rigged Mesh Goes Invisible. I hope you are finding these tips helpful! Posted in HINTS & TIPS. Tagged AMD graphics driver updates, firestorm viewer, Firestorm Wiki, Linden Lab, Second Life, SL, ZoHa Islands. 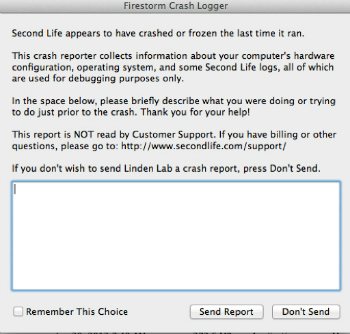 It’s the bane of everyone’s existence in Second Life… the dreaded viewer crash. Naturally, viewers don’t crash at opportune times; they wait until you’re getting busy with someone, or in a wedding, or doing a crucial final touches on a build you hadn’t saved. Sometimes they crash and all of a sudden the viewer just disappears. Most times, however, you suddenly can’t move, then all sound disappears and then the screen dims, accompanied by the endlessly rotating circle, and the dreaded words “Not responding” appear at the top of your screen. Since oftentimes people use the excuse “Oh, I crashed!” when trying to get out of an uncomfortable circumstance, it never fails that the viewer will crash during something critical, like your partner telling you they love you for the first time, or something equally important, and that inopportune crash looks suspicious. The causes for these crashes vary. Sometimes if you simply cam around too much, it causes the crash. Sometimes the sim is too full, a griefer is on the sim and unleashes a graphics crasher, or computer system is out of date and doesn’t have the resources necessary to run Second Life smoothly. I use the Firestorm viewer, and it asks to collect crash data each time you crash. You can either choose to do this manually, or changes the settings in preferences to allow the viewer to send crash reports automatically. So you think to yourself, why should I do that? All I want to do is get back in-world to try and repair the possibly broken relationship, broken build or continue on with what you were doing, so taking the time to send crash data just adds to the frustration of trying to get in-world. However, what you don’t realize is that the people at Linden Labs and the people at Firestorm (or whatever viewer you use) take the crash data collected, and use it to create the fixes that help reduce crashing. This means that you are helping improve things by allowing your viewer’s creators to collect the crash data. I have set mine to automatic, and it only takes a few seconds for it to collect the crash data on the next start up, and doesn’t cause any serious delays. So that begs the question: What can we do? Many users can greatly reduce their risk of Viewer crashes by taking a few steps to update their software outside of Second Life. Oz Linden posted in the Tools and Technology blog, offering these tips to residents some steps they can take to help reduce viewer crashes. “The nature of Second Life as a platform for user creativity means that the Viewer faces different challenges than client software for an online game, for example, which would just need to handle the limited and carefully optimized content created by the game’s developer. 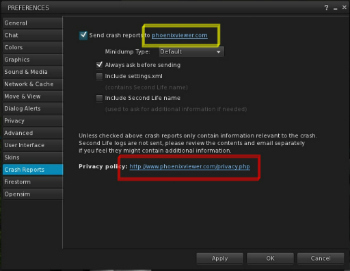 This can make Second Life a demanding application for your computer and can mean that if your operating system is out of date, your Viewer is more likely to crash. Those of you who stuck with Windows 7 (roughly 40% of users of our Viewer right now) rather than upgrade to 8.0 made a good choice at the time; version 7 still has a much better crash rate than 8.0, but not quite as good as 8.1 (now about 15% of users), so waiting is no longer the best approach. OSX rates do not have as much variation as Windows versions do, but newer is still better, and there are other non-crash reasons to be on the up to date version, including rendering improvements. Upgrading will probably also better protect you from security problems, so it’s a good idea even aside from allowing you to spend more time in Second Life. For each version of Windows for the last several years, you have had a choice between 32 bit and 64 bit variants; if your system can run the 64 bit variant, then you will probably crash much less frequently by changing to it. While we don’t have a fully 64 bit version of the Viewer yet, you can run it on 64 bit Windows, and statistically you’ll be much better off if you do. • Generally speaking the 64 bit Windows versions report crashes half as often as the 32 bit versions. According to the data we collect, a little more than 20% of users are running 32 bit Windows versions; most of you can probably upgrade and would benefit by it. If you bought your computer any time in the last 5 years, chances are very good that it can run the 64 bit version of Windows (as will some systems that are even older). Microsoft has a FAQ page on this topic; go there and read the answer to the question “How do I tell if my computer can run a 64-bit version of Windows?”. That page also explains how to do the upgrade and other useful information. I hope this helps with some of your viewer crashing problems. I’m sure it will probably never go away, but please help by sending your crash data to the viewer’s creators when asked. This will help all of us improve our experience. Posted in HINTS & TIPS. Tagged firestorm viewer, Linden Lab, Second Life, SL, viewer crashes, ZoHa Islands, ZoHa Islands blog.